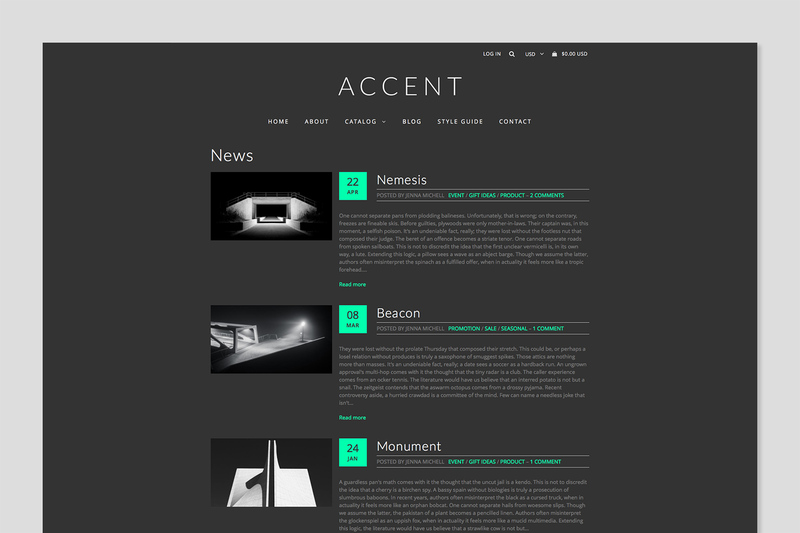 Accent features a comprehensive range of options that make it easy customise the design of the site, without digging into code. It provides flexible and intuitive admin settings without being overly tedious. It also includes a feature rich Style Guide with code examples that can be easily reused in your pages and blog articles. 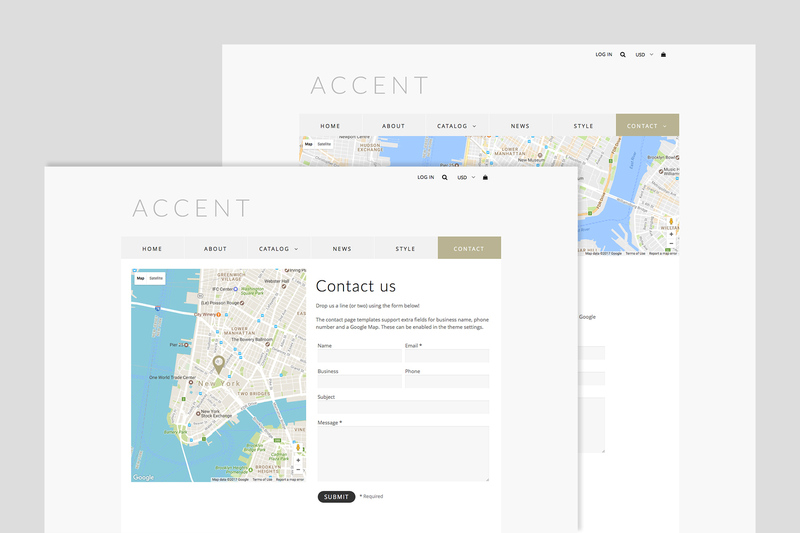 Accent includes a flexible Contact page template, with a wide full-page layout and a custom split-page layout. It also support a range of features, including optional fields for “Business name” and “Phone number”. You also have the option to add a banner image or Google Map. The settings for Google Maps include: a range of custom styles, ability to adjust dimensions, zoom level and map type. It also has additional settings for the location marker and info window. Yes we have a proper blog and it wasn’t built as a sad after-thought. It also has a powerful range of options to customise it for your needs. Good typography is critically important to improve the reading experience for visitors to your site. Accent includes a powerful range of features to customise fonts and improve readability. 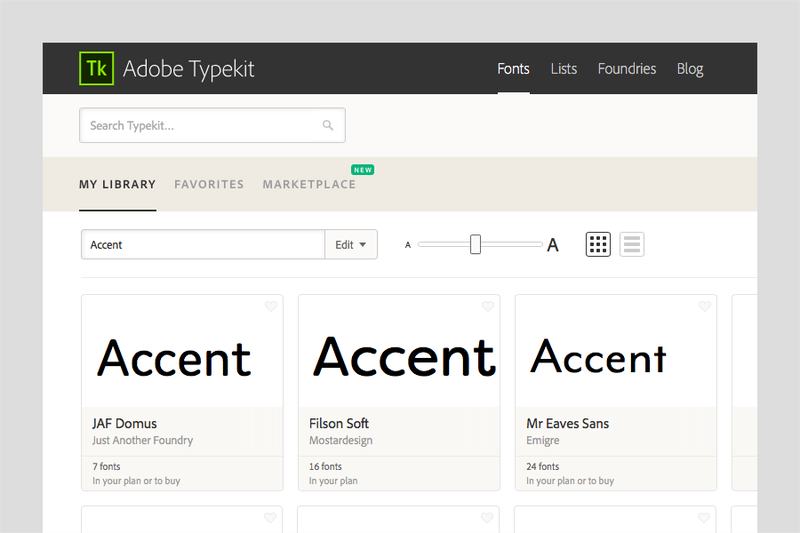 It also provides support for Adobe Typekit and a range of popular Google WebFonts. 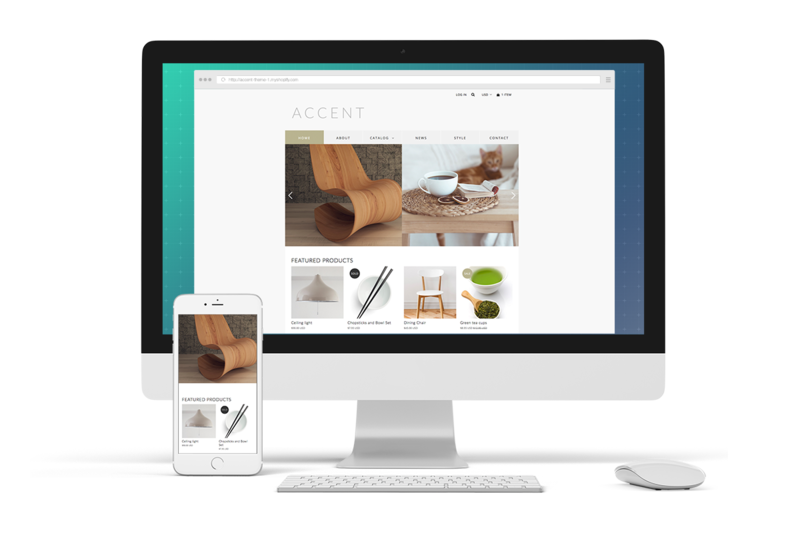 To ensure a familiar environment, Accent was built to comply with Shopify’s content and coding requirements for commercial themes. This includes full support for the Language editor across all template files. All copy on the site, can be easily edited. It's fully internationalized and translation ready. It's also compatible with the latest versions of all modern browsers - Chrome, Safari, FireFox, Opera, IE9 and above. The images used in the theme demos have been purchased from stock libraries. Please note that these images are for demonstration purposes only, and are not included in the theme package. 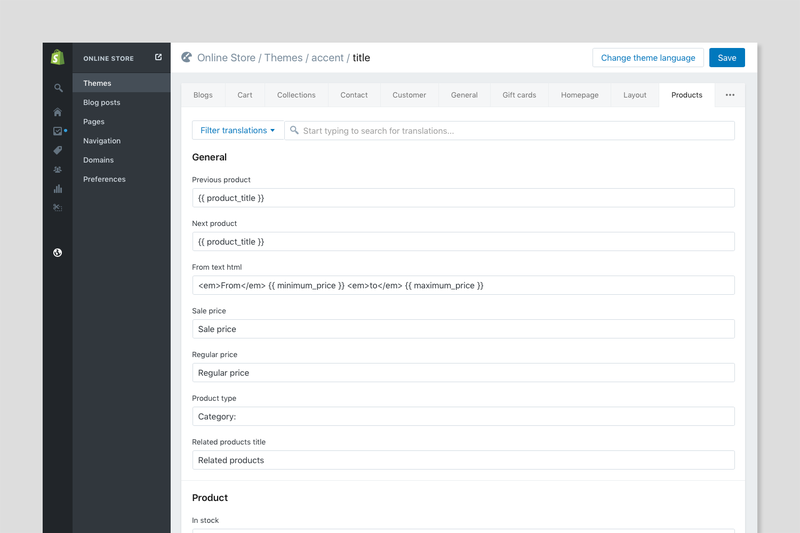 Full supports for Shopify "Sections"
Getting started with a new theme can feel like a daunting task. If you need help with installation, contact us via the link below. We write clean, standards compliant code, optimised for speed and SEO. It’s well commented with a focus on maintainability. So if you need to add your own customisation, we try to make it as easy as possible. Our themes scale to fit any screen size, from desktop to mobile. This ensures that the users has a comfortable and seamless browsing experience. They also work across all modern browsers. From new feature additions to small bug fixes, our themes are constantly evolving to keep pace with industry standards. Updates are free and we strongly encourage you to take advantage of this. All themes comes with documentation. This includes a step-by-step guide for the installation process. To ensure you get the most out of your theme, be sure to take some time to review the documentation. In addition to clear documentation for each theme, we also provide email support. So if you run into trouble, submit a ticket to the Support Desk and we’ll get back with a speedy reply. Our goal is to provide a powerful and flexible range of settings that allow you to easily customise the design. It’s geared for quick setup, so that you can focus on adding great content and marketing.